Is your furniture a mess? Got dirty stains on your upholstery from pets, kids, food or something else? We can clean any type of upholstery or fabric including Wool, Cotton, Linen, Leather, Velvet, Jacquard and Microfiber. Well, you’re in luck, Superior Plus Total Floor Care offers professional and affordable upholstery cleaning services to Phoenix Valley residents and businesses. We clean couches, chairs, office furniture and more. 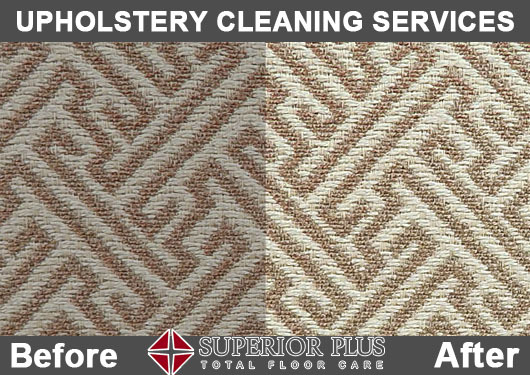 If you are searching for “Upholstery Cleaning” or “Furniture Cleaning” services in Phoenix, Scottsdale, Tempe or anywhere else in the Metropolitan area, Superior Plus Total Floor Care can help! Get a free upholstery cleaning quote by filling out our estimate form or giving us a call today at 480-835-6526. Our hours of operation are from Mon thru Sun 9AM to 5PM. Popular search queries used to find our upholstery cleaning services in Phoenix include: Upholstery cleaning Phoenix, furniture cleaning near me, upholstery cleaning Scottsdale, couch cleaning Phoenix, couch cleaning Scottsdale, upholstery cleaning services, furniture cleaners Phoenix, upholstery cleaning companies, commercial fabric upholstery cleaning, upholstery cleaning quote, upholstery fabric cleaning services, sofas cleaning and upholstery cleaner. Do you have dirty looking upholstery? Do your chairs and sofas in your hope look stained or have a funky smell to them? Are you looking for upholstery cleaning or steam cleaning furniture services? If so, that is probably the reason you found our website. So, don’t wait give us a call now to schedule your upholstery cleaning service today. We are A+ rated with the BBB, highly rated with Yelp and offer professional and affordable upholstery cleaning services that are handled by our experienced and licensed cleaning technicians. We use a refined version of the same extraordinary cleaning solution to clean most of upholstery fabrics including Oriental rugs and will tackle even the largest area rugs, designer rugs, and hi-traffic hallway rugs. Not only does our upholstery cleaning service clean your furniture, but also purifies the air you breath. Contaminants and allergens collect in your fabric and they eventually make their way into the air you breath. Our powerful upholstery vacuums will remove even the deepest buildups and contaminants. We can help you get rid of unwanted odors in your home with furniture deodorizer. Our deodorizers can remove almost any smell including pet, must, smoke, skunk, sewage, urine, mildew, oil odors and more. All of our deodorizing chemicals are safe, nontoxic, non-corrosive and nonflammable to ensure your home safety. Our furniture cleaning technicians can apply the right deodorizer for the specific odor problem your are experiencing. Our stain protectors can protect your upholstery, area rugs and carpets so they stay looking great and stain-free. We practice green upholstery cleaning to keep you and your closest ones safe. Why Should I Clean My Upholstery? One of the most important reasons to clean you upholstery is to maintain the clean appearance of it. Your furniture will stay looking clean longer with regular cleaning that can prevent grime and dirt from building up. Bacteria, fleas and mold can build up on your furniture without you even knowing. Dirt and pathogens can cause health problems to you or your family depending on how long you let the bacteria or mold build up. Cleaning your upholster can actually help improve the air quality in your home. Good upholstery cleaning can get rid of allergens, mildew, mold and dust. Read more about the importance of upholstery cleaning. Our expert upholstery cleaners get rid of stains and leave your furniture smelling cleaner and fresher than ever before with our furniture deodorizers. Depending on the fabric your furniture has, our technicians will properly access which method of cleaning will be most effective for you furniture. Is your furniture all full of pet stains and odors? Don’t worry, we know how to clean pet stains and get rid of any unwanted odors. Also, we will apply a fabric protector that will protect your furniture from stains for the next twelve to eighteen months. Learn more about the benefits upholstery cleaning. With multiple valley locations, Superior Plus offers reliable and affordable upholstery cleaning services in Phoenix, Scottsdale, Tempe, Arizona and more! Get a free upholstery cleaning quote by filling out our estimate form or giving us a call today at 480-835-6526. If you are searching for “Upholstery Cleaning” or “Furniture Cleaning” services in Phoenix, Scottsdale, Tempe or anywhere else in the Metropolitan area, Superior Plus Total Floor Care can help! We are a Professional Floor Cleaning Company, servicing Residential and Commercial Floors that include: Carpet, Stone, Tile, Wood and more. We have become a successful, growing company whose reputation for Service, Integrity and Reliability has spread valley-wide. © Copyright 2006 - 2018. Superior Plus Total Floor Care. All Rights Reserved.